Posted by Jasco on November 9, 2015 at 11:31 AM. Filed under LED Lighting, Around the Home, Safety & Security . 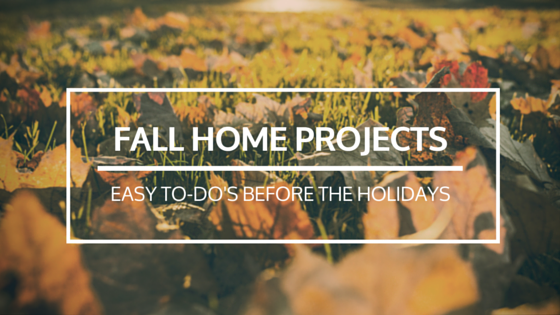 While the kids are back in the classroom, parents should utilize the time to start and finish one fall home improvement project before the craziness of the holidays officially takes over. You don't have to hire contractors for a large scale project, such as building an addition. Instead, you may find it beneficial to install some projects to boost up your home's comfort and relaxation levels. Take advantage of the weather before it gets too cold, especially if you've been wanting to make some upgrades to your outdoor patio. Lighting is a central aspect to a home’s decor and functionality. If you’re looking for a simple and eco-friendly home improvement project, consider installing LED under cabinet lighting. This easy project can make your kitchen or work space feel completely new without going over on your budget. LED light fixtures are very affordable and you’ll be going green with long-lasting energy efficient lighting in your kitchen. You’ll be surprised how different your home looks after you install under cabinet lights. The majority of people who install under cabinet lights can do so completely on their own. Most LED light fixtures can be installed at the base of your cabinets with little to no wiring. There are wireless remote control LED lights that can be turned on and off with the click of a button as well as plug-in linkable under cabinet lights that allow you to install up to 20 fixtures while still using only one outlet. For those who might be renting or looking for an extra simple solution, there are even peel-and-stick LED under cabinet lights for a super quick and easy upgrade with battery-operated lighting that even includes a remote! No matter what option you go with, adding under cabinet lighting is a simple home project that you should be able to complete in an afternoon. 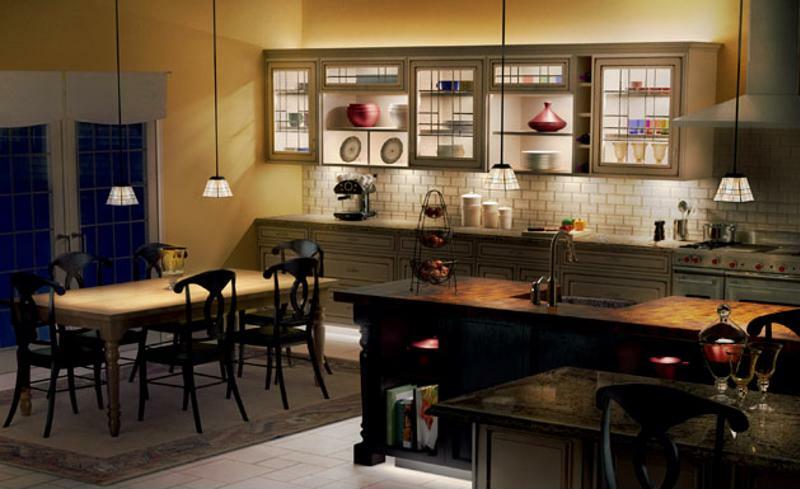 Enhance your kitchen by adding more lighting. 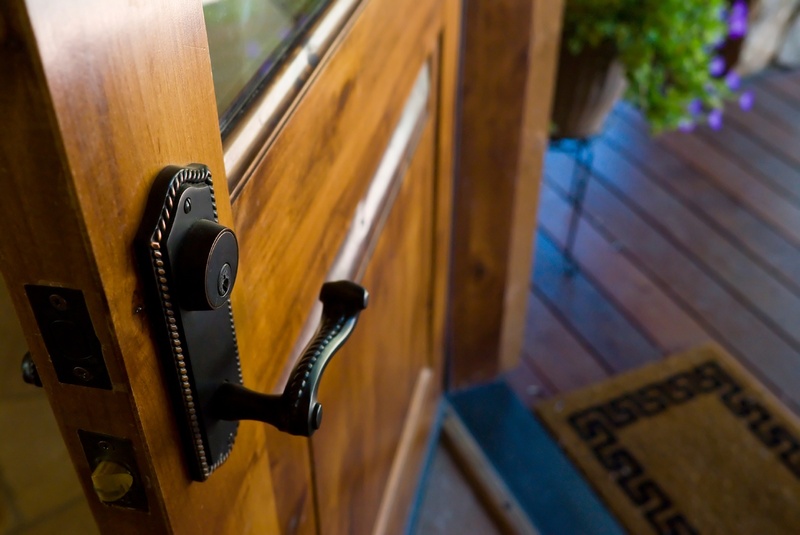 Doorbells are among the most important components of any household. The loud ring travels throughout the house, and you'll likely hear it even if you're in the basement or working in your home office. Without a doorbell, you might miss an important package that can only be delivered if someone signs for it, or you may miss the annual neighborhood cookie sale. You may even run into instances of confusion if you have two entrances, but the doorbell for one doesn't work. If you have a faulty doorbell, take a little time out of your day to install a new wireless door chime. As its name implies, no wires are needed for this battery powered device. You can easily adjust the volume, choose different melodies for each door bell location, add up to 4 buttons to your doorbell system. Installation is easy and you can finish the process while the kids are away at school. Security is likely on the mind of every parent. To ease your mind, add simple timers to automate your lights outside the home and a wireless alarm system for the inside. Scheduling your home's lights can give the illusion that someone is home, helping to deter break-ins. (not to mention coming home to a brightly lit house and saved energy costs). In addition to setting schedules for your landscape, patio and seasonal lights and around the home, wireless alarms on doors and windows are easy to install and can help deter intruders and alert you of any potentially dangerous situations. Together, these devices will enhance the security of any household. Setting aside some time to complete one more fall home project can help you enhance your home's lighting and increase security before the holidays.